Ahead of the high-stakes 2019 general elections, the Rashtriya Lok Samata Party (RLSP) seems to be headed for an alliance with the Lalu Prasad Yadav-led Rashtriya Janata Dal (RJD) by ditching the Bharatiya Janata Party (BJP) led National Democratic Alliance (NDA). 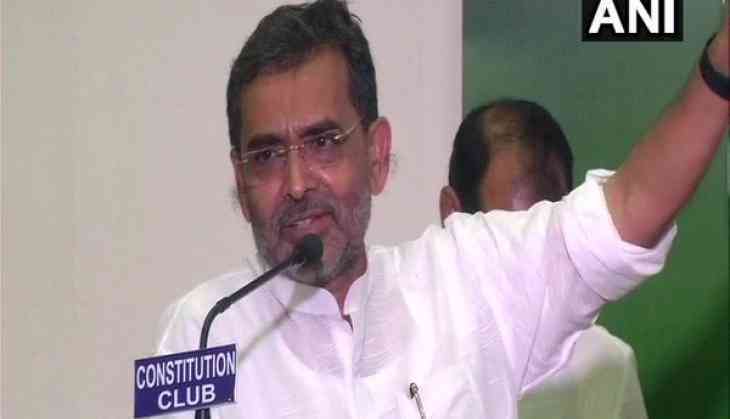 RLSP chief and Union Minister Upendra Kushwaha, while addressing a gathering here on Saturday, dropped a broad hint in connection with the possible political realignment and said that the combination of from Yadavs and rice from Kushwahas makes a good 'kheer'. "A large number of Yadavs have come for this event. When the milk from Yadavs and rice from Kushwahas are mixed together, it makes for good 'kheer'. But for making kheer, not only we need milk and rice, it also needs 'dry fruits' in the form of support from the downtrodden and backward classes. This is the meaning of social justice," said the minister. Members of the Yadav community are traditionally cattle-rearers and the Kushwahas, who belong to the Koeri community, are an agricultural community. Both the groups fall under the OBC category. Although Kushwaha's RLSP is currently a part of BJP-led NDA ruling at the Centre. Last month, Kushwaha skipped an Iftar party in Patna, organised by the Janata Dal United (JDU), amid reports of a rift stemming in the NDA in Bihar.